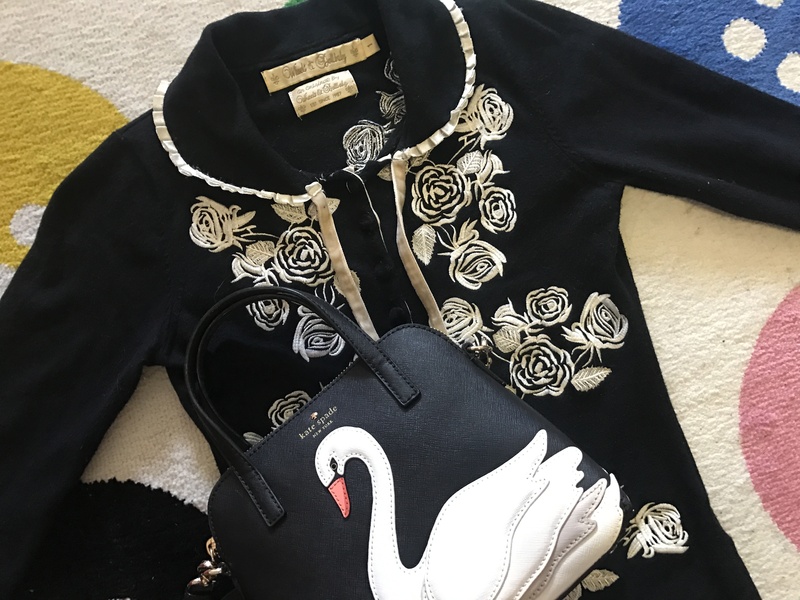 For my birthday, on 16th March, I received the Kate Spade On Pointe Swan Small Maise Bag which I featured in my last ‘Current Loves’ post. I was so surprised! It’s the best possible birthday present.This is the first Kate Spade bag I’ve ever owned which makes it even more exciting. I’ve wanted one for ages now. I adore the swan design, it’s really unique and fun. The black and white theme makes it so classy and versatile. I’ve used it almost every day since I’ve had it. My favourite combination is with the black and white Dita Cardigan. This entry was posted in Kate Spade, New In, Wheels & Dollbaby. Bookmark the permalink. This bag is just a beautiful, Imogen:) Such a perfect bday gift. My first ever “designer” bag was a Kate Spade, and I still have it! 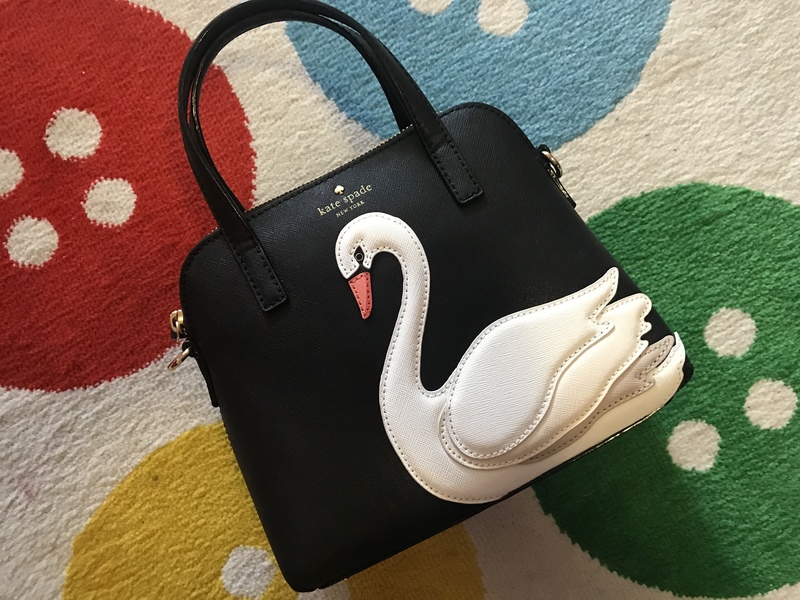 This swan bag is so cute, I want one! I can totally see me carrying around this bag all the time. : ) And the black and white cardigan is gorgeous. I hope you had the happiest birthday, Imogen. Wow, your new bag is so cute! 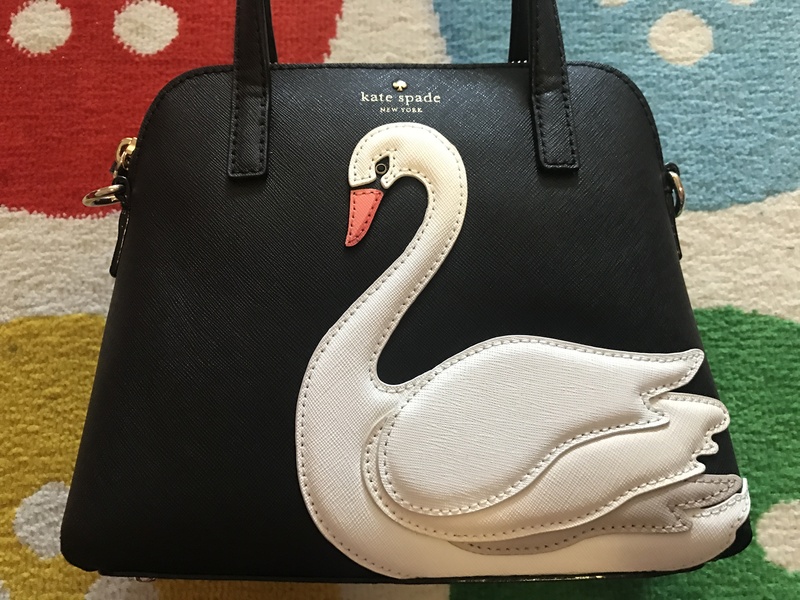 This is a beautiful bag – so unusual! Oh my word, what a perfect present that was!! Ah, it’s such a beauty! ❤ I love everything Kate Spade and this bag has actually been on my wishlist for several times. Good choice!